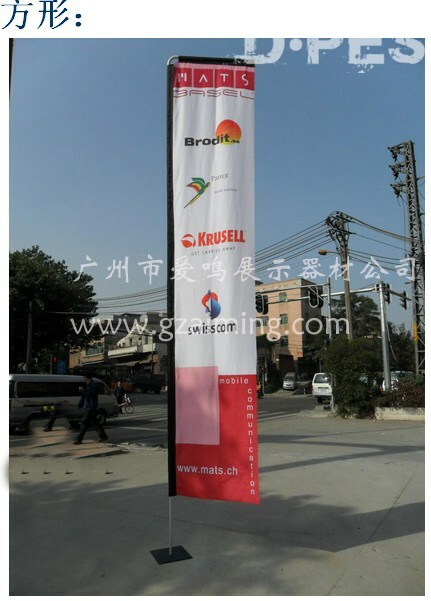 1) Aluminum and fiberglass pole. The feather flag is one of the greatest value advertising products available. 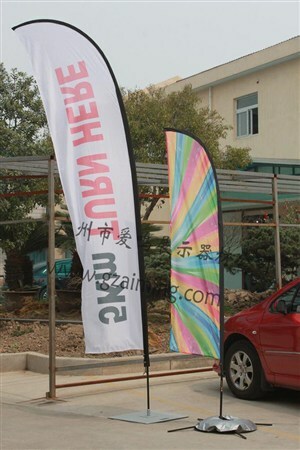 The feather banner flag is useable both at indoor and outdoor events and makes a flag tactic display. This is an advertising system in a tube. 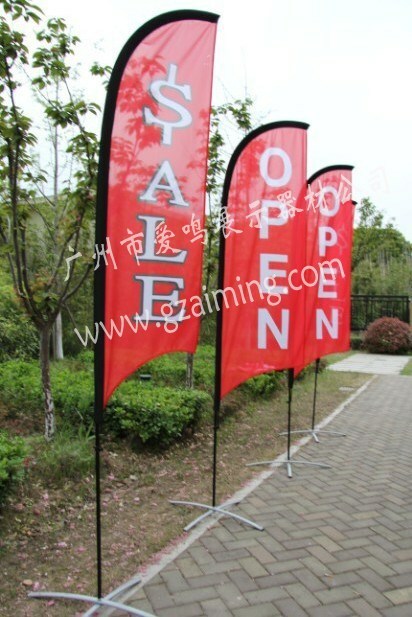 Remove the feather flag from its bag and in a flash you have your feather flag display set up. 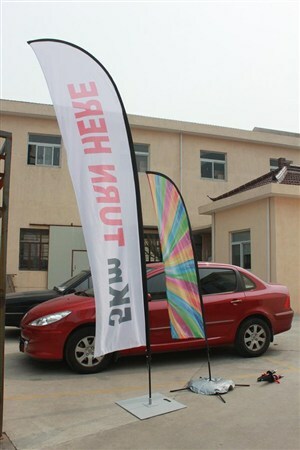 It consists of a strong Aluminium/fibre glass pole in sections, color printed dye sublimation (eco friendly process) feather flag. 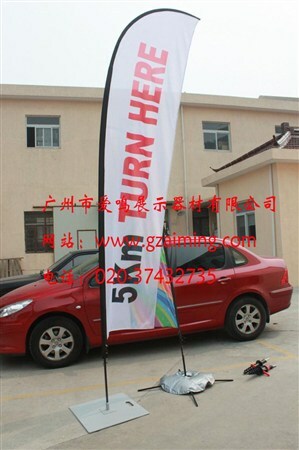 Just thread it on and it’s up ready to fly. 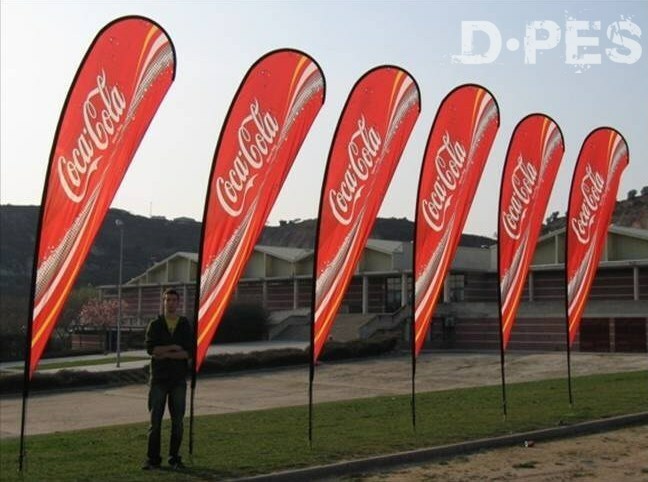 Our feather flag comes in 3 different sizes to suit all tastes and applications no matter what the event. It comes as standard with a soft ground spike. 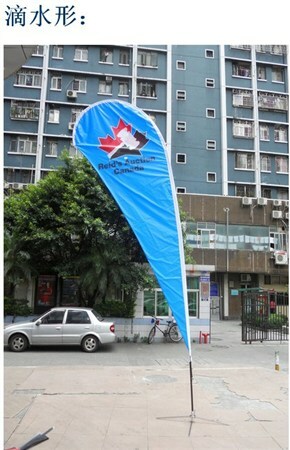 A hard standing cross stand with a stabilize water filled weight or a car wheel base can be purchased as an option so that your flag can be used almost on any surface, hard or soft. Prices are based on printing from your artwork or we can design and produce the artwork for you on a fixed price quotation.